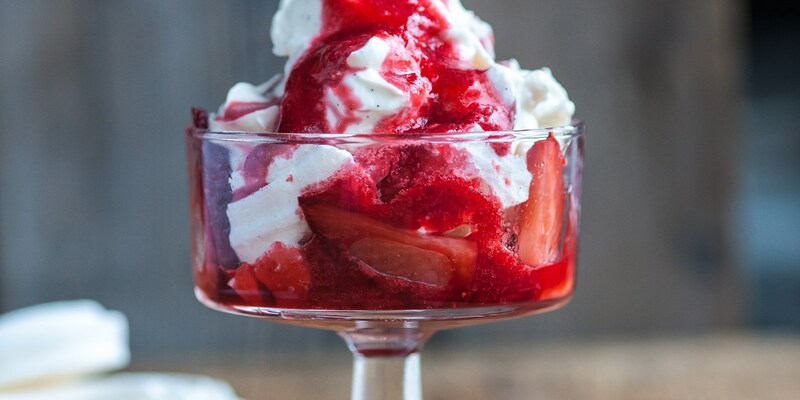 Eton mess, a traditional British dessert invented at Eton College, is usually made up of strawberries, meringue and cream, but can have many variations. Quick and easy to make, it is a crowd pleasing dessert and highly adaptable to different fruits and flavours, depending on what's in season. This collection of Eton mess recipes includes both classic versions and more modern varieties. Enjoy Geoffrey Smeddle's traditional Eton mess recipe, Matthew Tomkinson's yoghurt and vanilla Eton mess, and an non-messy Eton mess recipe from Marcus Wareing.